Emma Himsworth specialises in all areas of intellectual property law and related aspects of competition and commercial law. Her practice encompasses court and advisory work. Emma has a BSc in Biological Sciences with Honours in Biochemistry and a Diploma in EC law. She has a particular interest and expertise in matters involving trade marks and passing off. Emma sits as an Appointed Person, hearing appeals from the UK Registrar of Trade Marks. 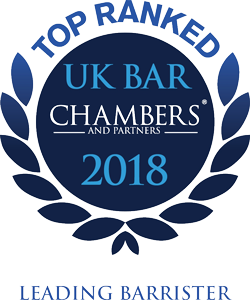 Emma also chairs the IP Bar Association Trade Marks and Designs policy group which is currently focused on the impact of Brexit and is a member of the Bar Council EU Law Committee.